(TibetanReview.net, Oct17, 2014) – The new UN human rights chief has said Oct 16 that he was in talks with the Chinese government for a possible visit to Tibet. The territory otherwise remains off-limit for non-Chinese journalists, diplomats, and independent travelers unless they are chosen for scripted and sponsored tours by Beijing on occasions. “China in its Universal Periodic Review (UPR) agreed to the recommendation that there be a visit by the High Commissioner to Tibet. So we are discussing this issue with the Chinese authorities,” Reuters Oct 16 quoted High Commissioner for Human Rights Mr Zeid Ra’ad al-Hussein as saying in his first news briefing in Geneva since taking over from Ms Navi Pillay on Sep 1. “I’ve had a few very preliminary discussions about this. We agreed we would sit at some stage and elaborate a concept of how this is going to take place,” the veteran Jordanian diplomat at the UN was further quoted as saying. He has cautioned, however, that it was premature to say anything at this stage, including on the question whether he might also visit other Chinese ruled regions such as Xinjiang. He has spoken of having suggested a multi-day visit with freedom to move around during the initial dialogue with Chinese officials. 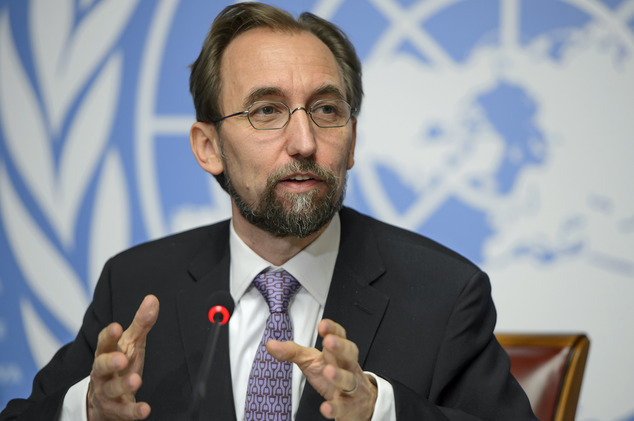 A visit by the UN rights chief was agreed in principle by China when it underwent a review last year at the UN Human Rights Council, which regularly examines the records of all UN member states. China condemned and rejected all other criticisms and suggestions for improvement during the review. Ms Navi Pillay from South Africa, whose term ended on Aug 31, had urged China to allow independent human rights monitors to visit Tibet and address deep-rooted frustrations there, but without any success.